Feed your body with amazing seed nutrition! Get 20 servings of organic fruit, veggies and nuts in your hands! SOUL offers 100%, all-natural nutrition that provides your body exactly what it needs and craves for optimal energy, anti-aging, and immune system support- delivered from the power of Rain's exclusive seed processing technology. ARE YOU GETTING ALL THE NUTRITIONALS THAT YOU NEED DAILY? IT IS DOUBTFUL BECAUSE TODAY IT IS DIFFICULT AND OUR NEEDS ARE GREATER. Modern life has drawbacks. Our food supply isn’t what it once was, and even if you’re buying the best quality food you’ll still likely be bombarded with chemicals and environmental toxins from all over the place - fluoride in the water, chemicals in the air etc. There are over 8000 different chemicals, colorings and additives in our food today. An average person eats 54 kg/120 lbs of these ingredients per year. Our fruits and vegetables have lost 50 to 70% of their nutrient content in the last 70 years. Also only 10% of the U.S. population consumes five servings of fruits and vegetables per day. (We need 6-9 servings per day to achieve optimal antioxidant protection). And why get the Best nutritionals you can is good for your health? Through good nutrition, the human being is able to have health and play a productive role in society. Bad nutrition is responsible for many diseases such as obesity, heart attack, cancer, high blood pressure, diabetes and gallstones, among others. It is not only the nutritional food or the lack of it that can make us sick - with the fast pace of society today our stress levels have gone up and up. So, even if you do your best to eat healthy and get the recommended daily allowance of nutritionals and antioxidants foods, you probably are not getting enough because of stress, toxins and low nutritional content of today's foods. "The amount of antioxidants in your body is directly proportional to how long you will live"
Antioxidants are our body’s defense against the destructive nature of free radicals. They are our defense against aging, sickness and disease. 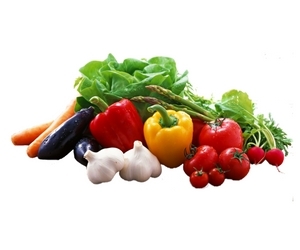 Antioxidants come from fruits and vegetables and are also found in such foods as nuts, oils, beans. Research suggests that organic foods have higher concentrations of antioxidants than processed foods grown with pesticides. Without these powerful antioxidants chronic disease and inflammation proliferate. 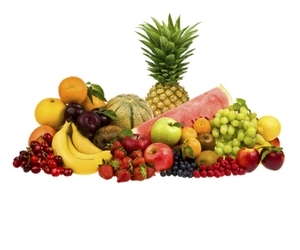 There are different forms of free radicals that need different anti-oxidants. 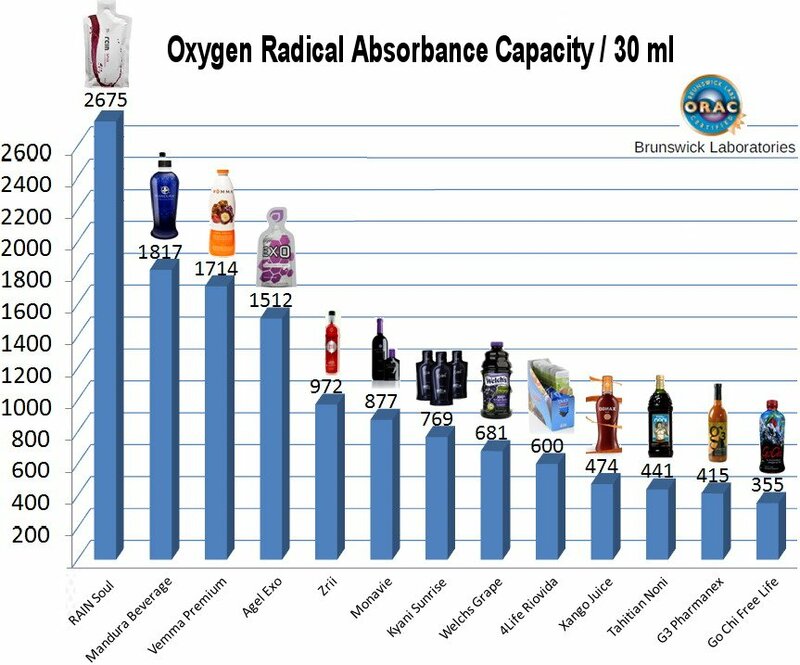 There are 5 major groups of free radicals that require 5 different groups of anti-oxidants. Soul is amazing in that it is high in all 5. So if you want serious anti-oxidant power you need soul. The power of the seeds! Seeds are the most concentrated form of nutrition produced in nature. Seeds are the source of life and health. Seeds are the most concentrated form of nutrition in nature. 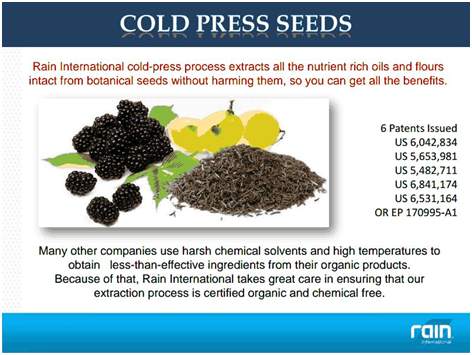 Rain International is the first company to fully harness this power by creating seed-based nutrition. SOUL offers 100%, all-natural nutrition that provides your body exactly what it needs and craves for optimal energy, anti-aging, and immune system support-- delivered from the power of Rain's exclusive seed processing technology. Soul's primary function is to fight inflammation, followed by free radical damage, help get oxygen into the cells and provide a wide range of nutrition especially good fats for the brain and skin. Human Physiology Requires 12 Essential Vitamins, 17 Essential Minerals, 9 Essential Amino Acids, and Essential Fatty Acids – Omega 3, 6 & 9. Without it the body cannot function at its best! Soul Contains 9 of the 14 super nutrients that is necessary. 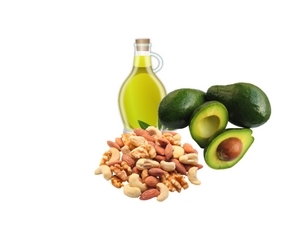 Essential Fatty Acids (Folic), (omega 3, 6 & 9). 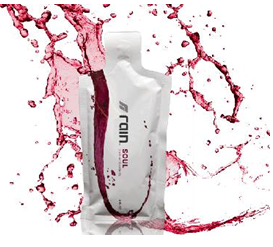 Vitamin A-Beta, A-Palmitate, B1, B2, B3, B5, B6, C, E, K. Minerals, Flavonoids, Resveratrol & Enzymes! Rain Soul – Nutritional Value Equivalent. Each packet of 2oz contains the nutritional equivalent of around 20 servings of organic fruit and veggies but at less than $3. Soul is a powerful anti inflammatory that is 281 times more powerful than aspirin but with none of the bad side effects and lots more good side effects. It fights the 6 major types of damage done to the body by toxins. Soul has essential nutritional ingredients, helping the body to function at its best. 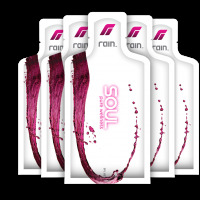 Ingredients inside Rain Soul are: black cumin, black raspberry and chardonnay grape is individually packaged in a sealed packet. No Additives, No Heat, No Chemicals & preservatives, No GMOS, Organic, Vegan, gluten free! 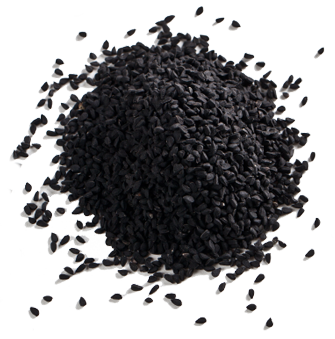 Historically used to alleviate headaches, toothaches, nasal congestion and intestinal worms, the black cumin seed has a reputation of anti inflammatory and pain soothing properties. 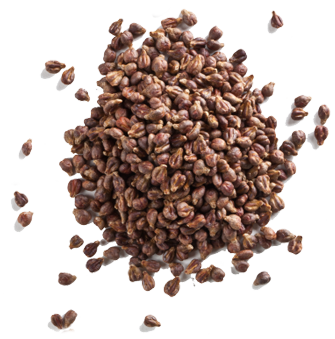 Modernly, its uses have expanded into treating digestive issues and respiratory conditions, and to regulate normal levels of blood pressure and cholesterol. Science has even found significant evidence to suggest black cumin seed boosts the immune system. Raspberries are among the top ten high-antioxidant fruits and vegetables. 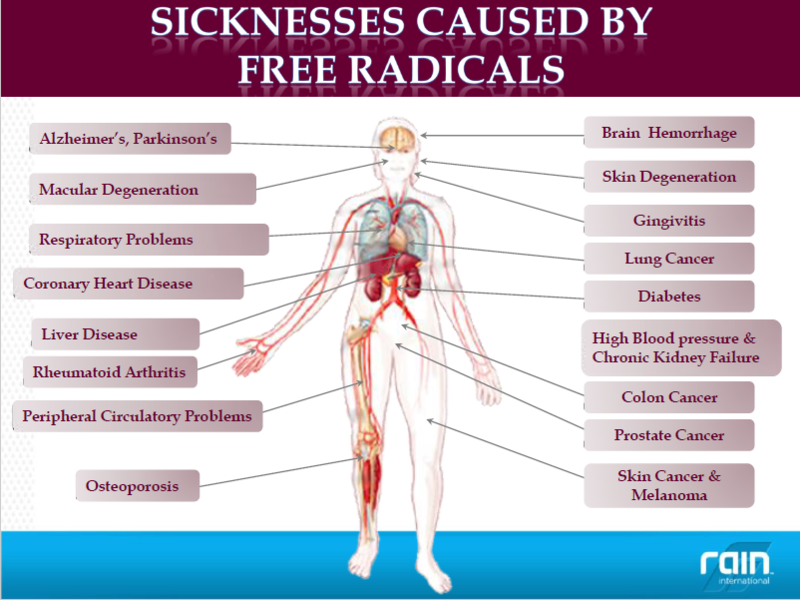 These antioxidants help to fight free-radicals which cause damage at the cellular level, leading to many of the different health and wellness threats that affect or will affect every person on earth. Helps to prevent infections, heart disease and cancer. Chardonnay grape seed is another powerful antioxidant with anti inflammatory benefits. It also helps with slimming down and weight loss and may assist in regulating high cholesterol and blood pressure. 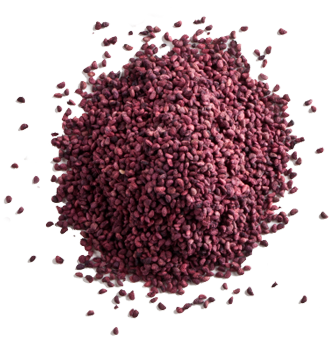 Soul's blend of chardonnay grape seed, red raspberry seed and black cumin seed yields a synergistic effect, multiplying the benefits of each. 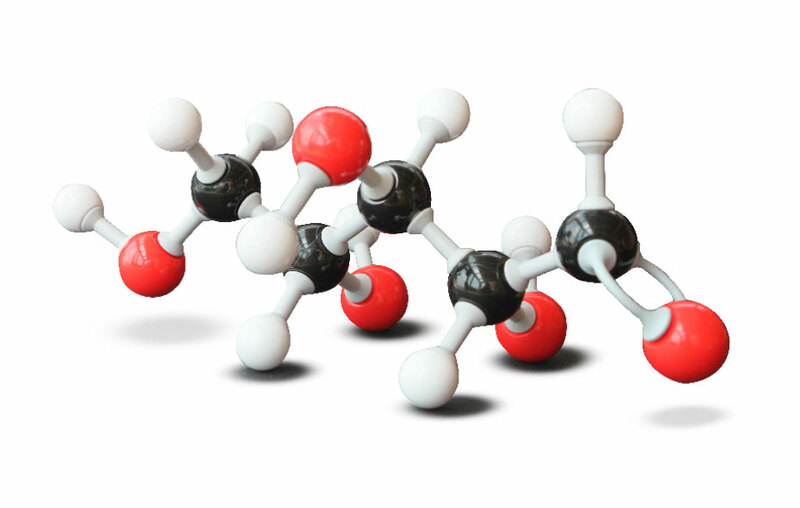 Ribose-D is a five-carbon sugar found is every cell in our bodies that combines with oxygen and ATP to give energy to each cell. Ribose is also present in RNA, which is one of the main information carries of living organisms. Helps to replenish and increase body endurance. Reduce saturated fat in our body. Reduce stress and fatigue. 30 Reasons to drink Soul. The benefits are real! Soul provides the nutrition our body needs. It benefits children, teens, pregnant and nursing mothers, athletes, adults, and seniors. PUT IN YOUR HANDS ALL THE NUTRITION YOU NEED. TRY IT! The best time to drink it is in the morning, before taking any meal or drink. Wait for 15 minutes before eating or drinking for best efficacy. If you are taking for illness or disease, drink Soul at least twice daily for optimal restoration. For diabetic patients we suggest testing your blood glucose frequently after taking it. Always start with 1 pack daily. What if you don’t like? What is the guarantee? We offer a full 30 day money back guarantee. If you are not liking our liquid seeds simply return them within 30 days for a full no questions asked refund. Call Rain International (855-724-6606). I will be your up line sponsor. Give them my ID#: 228181. To get the best price ($65/box + shipping) agree to sign up for the monthly auto-ship program (which can be canceled at any time with no penalty). Now available in – Austria, Canada, Colombia, Croatia, Germany, Hong Kong, Hungary, Italy, Japan, Malaysia, Mexico, Netherlands, Nigeria, Philippines, Poland, Romania, Russia, Serbia, Singapore, Slovakia, Slovenia, Switzerland, Taiwan, Ukraine, United Kingdom, USA, Vietnam. “When I walk out of my motor coach, it’s not a normal step like walking down ordinary stairs, the coach makes you step sideways as you walk down the 3 steps that puts pressure (sideways) with all your weight on that one downhill knee. I really only notice it walking down those stair or in a situation like reading in bed with my knee bent up toward the ceiling. When I straighten it, it snaps and causes a pain in the knee. After only 4 days after faithfully taking SOUL, the pain in the knee is definitely gone. I am happy!” - Eric S.
“We just started to use the SOUL pouches by Rain. Fran and I started with one pouch the first day. Fran started taking one pouch 3 times daily and I started taking two pouches daily. I had been suffering from strained muscles in my neck since March. By Saturday August 10th my neck was about 80% better and today August 12th I have -0- Zero pain!! Also the arthritis pain in my arms has almost disappeared. Great news!! Hopefully, when we go back to the Orthopedic Surgeon on Tuesday, Fran’s broken bones in her foot will show growth. Thank you SOUL from RAIN! !” - Fran and Glenn S.
IF YOU ARE INTERESTED IN EXCELLENT HEALTH I HOPE YOU WILL TAKE THE OPPORTUNITY TO TRY SOUL.